Host: Michael Sappol, PhD (History of Science & Ideas, Uppsala University, Sweden; formerly scholar-in-residence and curator-historian, National Library of Medicine, BIH Visiting Fellow). The invention of the motion picture around 1900 was greeted with enthusiasm. It was widely believed that the medium/technology would transform, even revolutionize, science, popular entertainment, pedagogy and politics. Biomedical research scientists, medical educators, surgeons, dentists, nurses, psychiatrists, occupational and physical therapists, specialists in infectious disease, cancer, child development and emergency medicine — and public health officials and activists — became film-makers and film-screeners, invested time and money in film production and distribution. Movies were shot in laboratories, clinics, field hospitals, morgues, schools, military barracks, city streets, remote regions. And filmmakers used a variety of techniques: x-ray cinematography, cine-micrography, cartoon animation, conventional narration and storytelling. 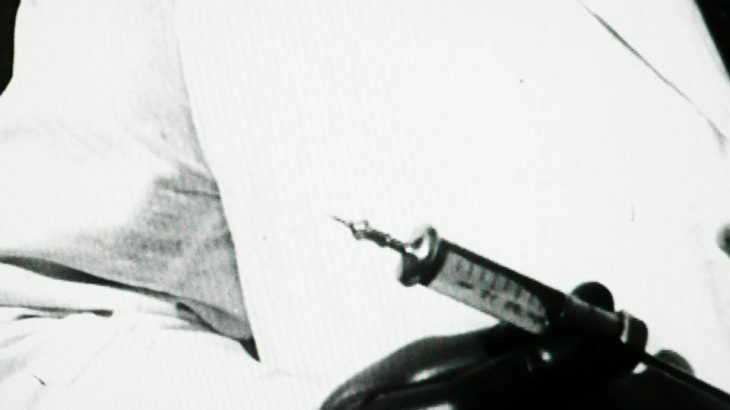 Genres of medical film also varied: there were fictionalized stories, documentaries, training films, clinical studies, animal studies, health education and propaganda films. Today, the National Library of Medicine (NLM) has an archive of about 17,000 motion pictures, going from the 1910s to the present. Some are difficult to watch, others are charming; some are made for specialists, others for the broadest general audience; some are brilliant works of filmmaking, others are utterly incompetent. Nearly all are of interest, and many are compelling. This program presents a sampling of short films from the NLM collection, made between 1918 and 1965. The screening will be preceded by a drinks reception in the theatre foyer. Please note: these films contain footage of a sensitive nature. Subjects include psychiatry, rehabilitation, autopsy, child development and infectious disease. Michael Sappol lives in Stockholm and is Visiting Researcher in the History of Science & Ideas at Uppsala University. For many years he was a historian, exhibition-curator and scholar-in-residence in the History of Medicine Division of the National Library of Medicine (USA). His work focuses on the history of anatomy, death, queer studies and the visual culture of medicine and science in film, illustration and exhibition. He is author of A Traffic of Dead Bodies (2002) and Dream Anatomy (2006), editor of A Cultural History of the Human Body in the Age of Empire (2010) and Hidden Treasure (2012), and, until 2016, was curator of Medical Movies on the Web. His most recent book is Body Modern: Fritz Kahn, Scientific Illustration and the Homuncular Subject (University of Minnesota Press, 2017).